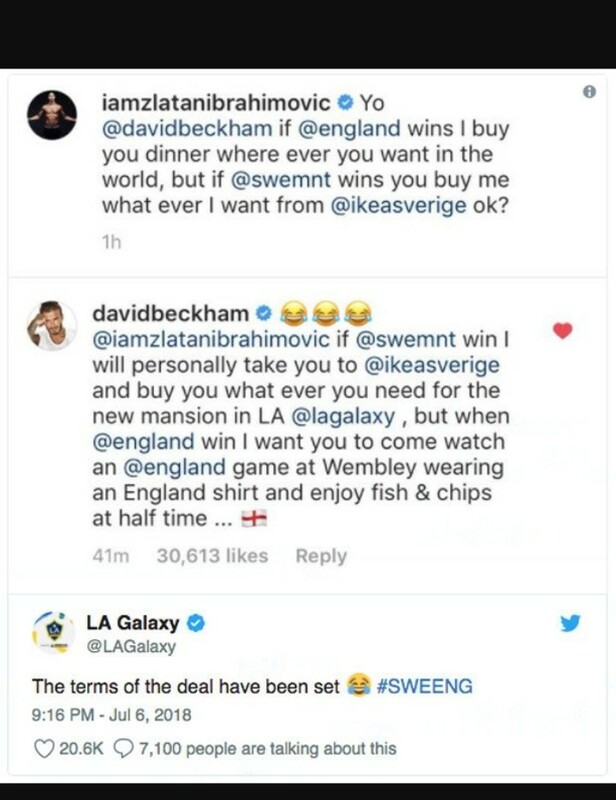 Though they would have no input in how the game goes, Sweden and England legends, Zlatan Ibrahimovic and David Beckham have agreed a World Cup bet ahead of Saturday’s quarter-final. 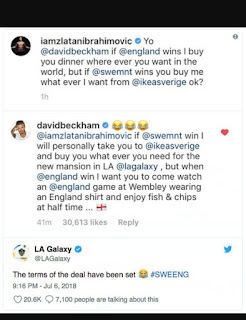 Ibrahimovic, now representing Beckham's old club LA Galaxy, took to social media to call out Becks. He teased the former England captain with a proposal based on the big game’s result. 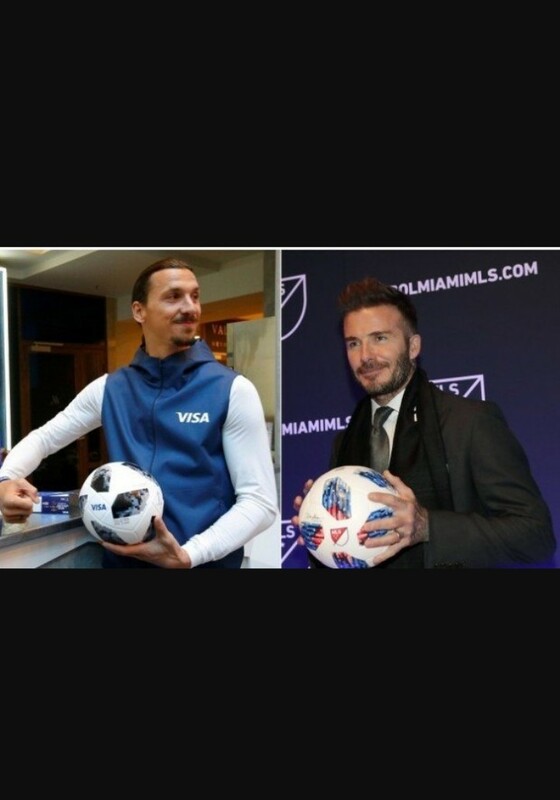 Should England beat Sweden, the former Real Madrid star will have to buy the striker dinner anywhere in the world. Beckham agreed to the terms but added a demand of his own. The Man Utd legend said he wants Ibrahimovic to take a trip to Wembley to see England while wearing a Three Lions shirt. Not only that, but he wants Ibra to sample the national dish of fish and chips at half-time.